Desktop analyzer without any service end. Execute instantly when entering the expression, the result is available meanwhile. 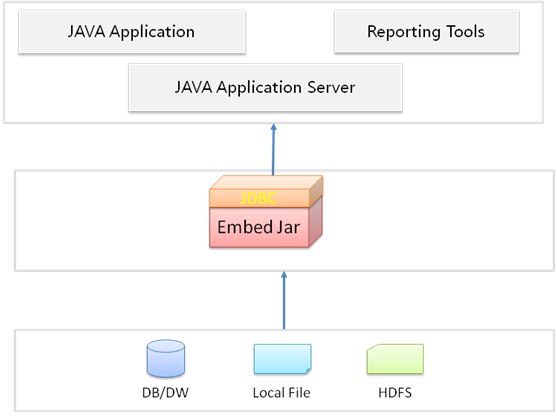 Embedding esProc into jar packet of Java application, offering standard JDBC interface to upper layer. 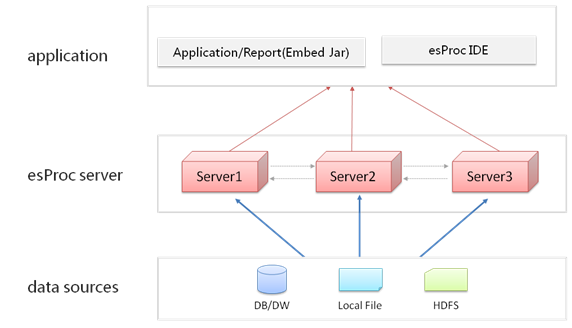 By using esProc JDBC, the computing result can be accessed through standard JDBC interface. Able to act as the datasource for reporting tool. Support any Java Application Server, and all platforms.